It is 869. For eighteen years, Avelynn, the beautiful and secretly pagan daughter of the Eadlorman of Somerset has lived in an environment of love and acceptance. She hasn't yet found a man to make her heart race, but her father has not pressured her to get married. Until now. With whispers of war threatening their land, her father forces Avelynn into a betrothal with Demas, a man who only covets her wealth and status. The dreaded marriage looming, she turns to her faith, searching for answers in an ancient ritual along the coast, only to find Alrik the Blood-Axe and sixty Viking berserkers have landed. Alrik is unlike any man she has ever known, strong and intriguing. Likewise, he instantly falls for her beauty and courage. The two stumble into a passionate love affair, but it's more than just a greedy suitor who will try to keep them apart. My Review: Avelynn has been the jewel of the Earl of Somerset. Suitors come to seek her aid, but she was given the choice to refuse them. However, when rumors about war from the Vikings seem to come true, her father decides to protect her into an arranged marriage to Demas. She finds out that Demas is not the gentle suitor he seems to be, but rather a dark man filled with ambition and with a desire to control her. Because she is doomed to marry this man, she turns to her faith as a pagan. During one of her pagan rituals, she meets Alrik, a Viking and her enemy. However, with her impending marriage and with war with the Vikings, she finds her star-crossed love with Alrik to be doomed. 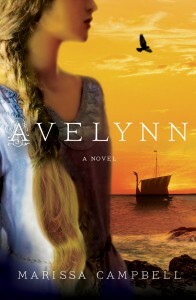 Avelynn is a strong heroine, and very admirable. She is headstrong and tries to live her own life. She is disappointed when her father chooses her bridegroom for her, but she is not complacent. Instead, she tries her best to fight her marriage. I also found her to be a good ruler. When her father is absent, she becomes regent for her father. I thought she was practical and made good decisions. Another thing is that she can fight. She is not afraid to take up arms to fight for those she loves. Therefore, Avelynn was feisty and spirited, and she made a fun heroine. She is also human, and makes mistakes. However, she learns from them. She eventually understands that the choices she makes could have consequences. Overall, this book is about friendship, family, love, choices, and responsibility. It is about a woman’s quest of finding her own happiness and to fulfill her role that is passed down to her. I liked how this story has a King Arthur reference, and this story has a little bit of fantasy. This story reminds me of The Mists of Avalon. I did feel that the love story was not fleshed out, and I felt that it was an instant infatuation. This is because Alrik is absent for most of the story, and I would have liked a little more appearance of Alrik so that I could enjoy the love story more. Still, I found the storyline to be very interesting, and I liked how it is set in Anglo-Saxon times. 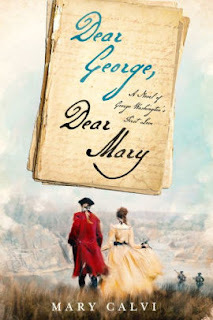 This novel is very meticulously researched and the writing is very beautiful. I will definitely read this next book in the Avelynn series. This book is not only perfect for fans of historical fiction, but to fans of Marion Zimmer Bradley. Thank you for a fantastic review, Lauralee! 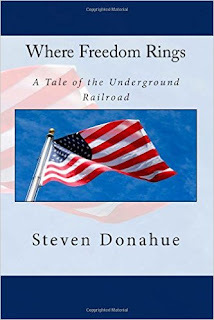 I really appreciate you taking the time to review the book.